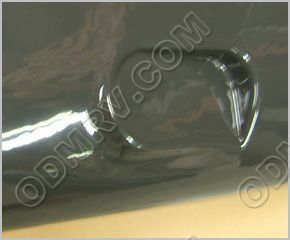 Banana Underbelly Wrap Roadside Front 200542  - $84.95 : Out-of-Doors Mart!, More Airstream Parts on-line than anyone! 200542 Banana Plastic Underbelly Wrap Roadside Front. 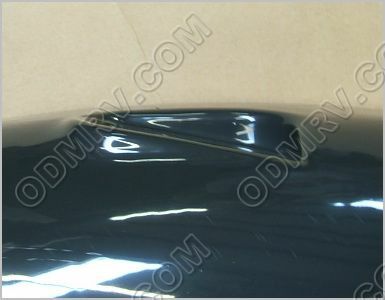 This item replaces part number 101308. Please note the pictures below, this may come in one of two colors and will need to be painted regardless of what color you get, or what year your trailer is. On some units you will have to trim more than on other units. You hold it up to the unit and trim a little as you go. FREIGHT ON THIS ITEM WILL BE HIGH AS IT IS AN OVERSIZE ITEM UNDER WWW.UPS.COM RULES. See pictures below.